These gumboots from Blundstone are great all purpose boots designed for heavy wear in the construction industry. 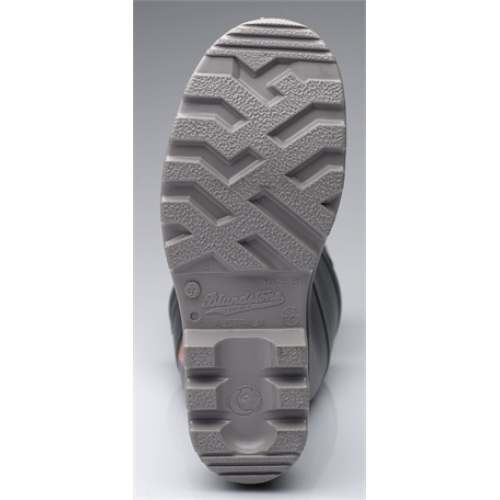 They are ergonomically designed with a toe spring to reduce fatigue and the sole has been designed with a deep tread for maximum traction and easy cleaning and stability. 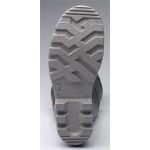 The broad fitting steel toe cap is 200 Joule impact resistant while the ankle, heel and instep are reinforced to provide extra protection. The boot is made from dual density PVC/nitrile compound and is resistant to chemical, oil and acid. This boot is made in Tasmania.